The Craftmatic Monaco models offer the latest technology in Wireless two-way Wi-Fi remote control with LED screen and digital clock.You can Download an application* on your iPhone® or iPod touch® to operate your Monaco Royalle and Monaco Grande Supreme. This communication bridge is sold separately. Today's advanced Monaco Models are equipped with Dual, full-body wave massage and also offer optional full body soothing heat control. 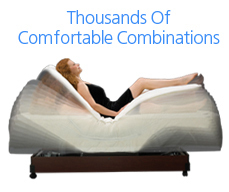 Multiple programmable positions allow you to raise your head and legs to over 1001 posture perfect positions. The Monaco's Snore Silencing feature allows users the power to help alleviate disturbing snores by repositioning their sleeping partner without having to wake them up. This amazing bed also comes standard with an automatic Sleep timer that allows the user to gently transition from activity position to sleep position at specified times. Monaco's Patented gentle wake alarm uses a light gentle massage to awaken the user. 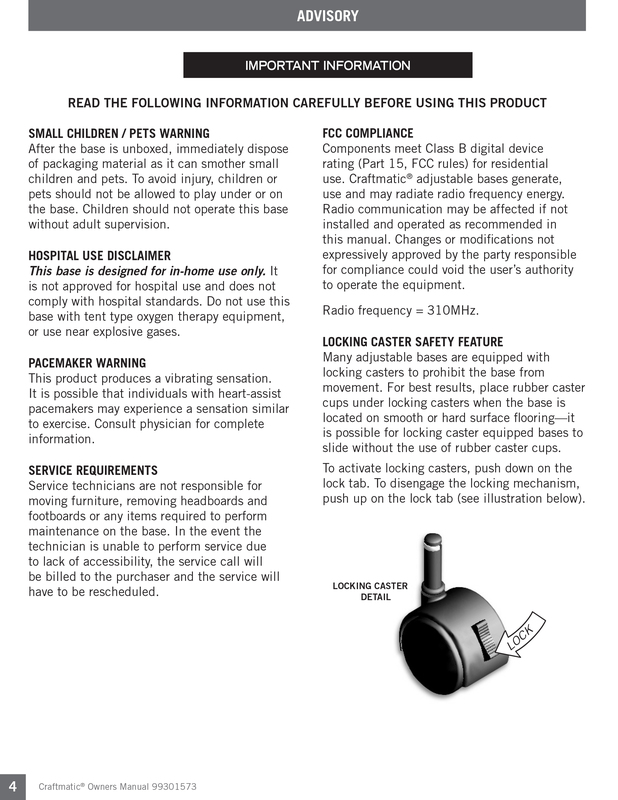 It is also Paired with an audio alarm. A Remote locator feature helps find your missing remote control. Wallhugger engineering is also a standard feature in this technologically advanced sleep system. Whisper Quiet motors allow up to 600 pounds of lifting capacity. All Deliveries are made through our Craftmatic Authorized Delivery and Service network throughout all 50 United States. 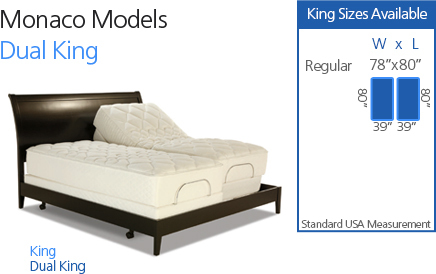 Lifetime Limited Position Changing Mechanism Warranty (includes motors, gears, controls and electrical system) Mattress Warranty: 15 year limited. 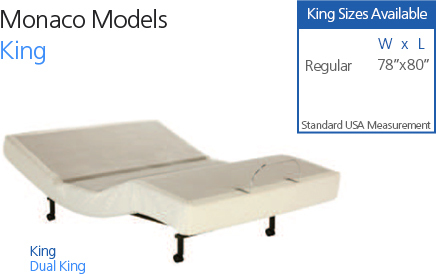 The Monaco Royale comes with a Dual Density Mattress - or Our Monaco Grande Supreme offers Top of the line Memory Foam Comfort. 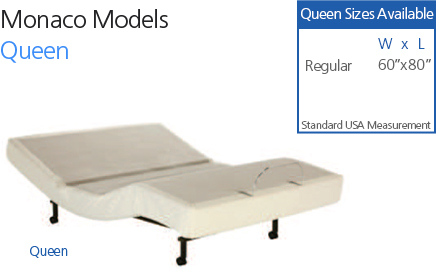 Since Craftmatic beds are designed for maximum comfort and durability your Craftmatic representative will suggest the right Bed for you and your budget. Please Call 1-800-245-0205 for a free price quote today.